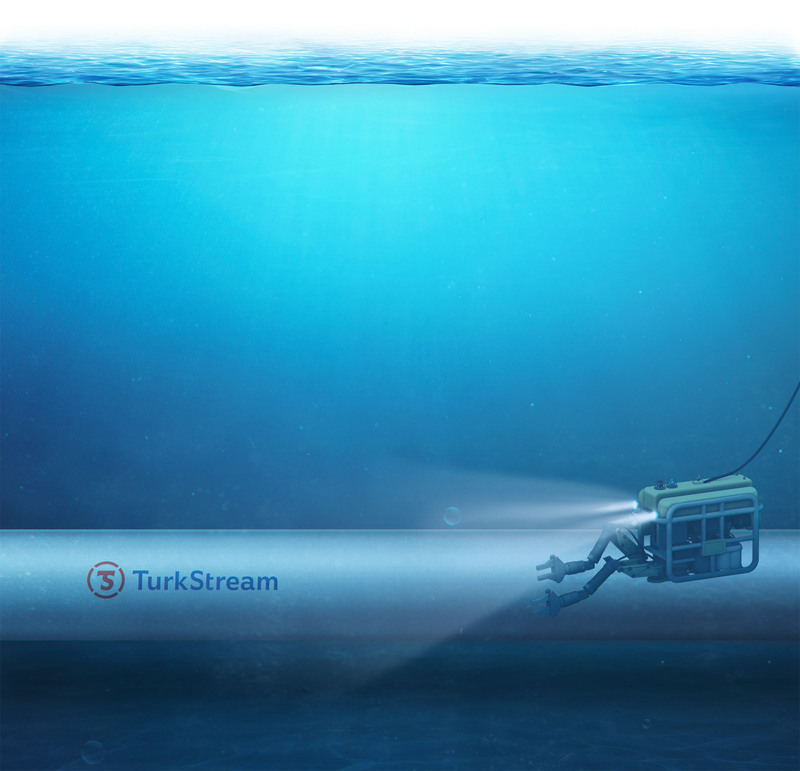 Task: to provide the most essential information about a pipeline. 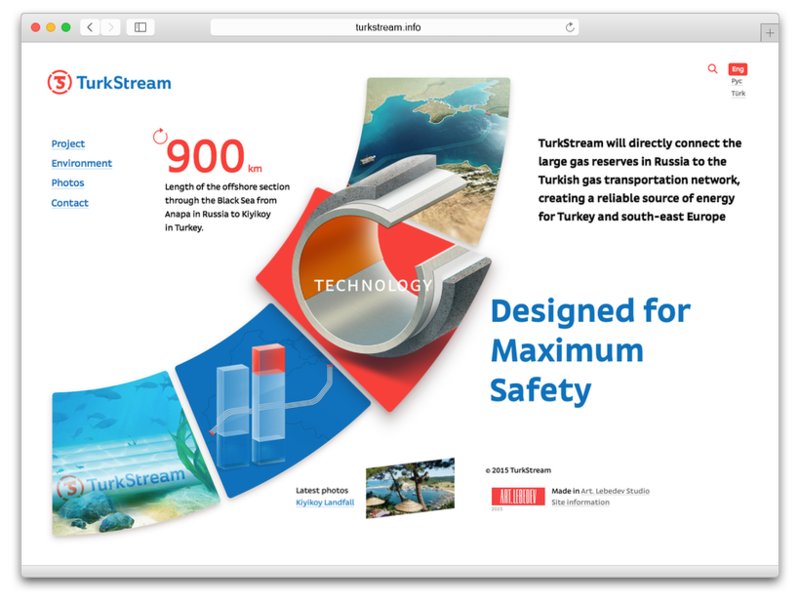 TurkStream gas pipeline will traverse the Black Sea and connect Turkey and Russia. 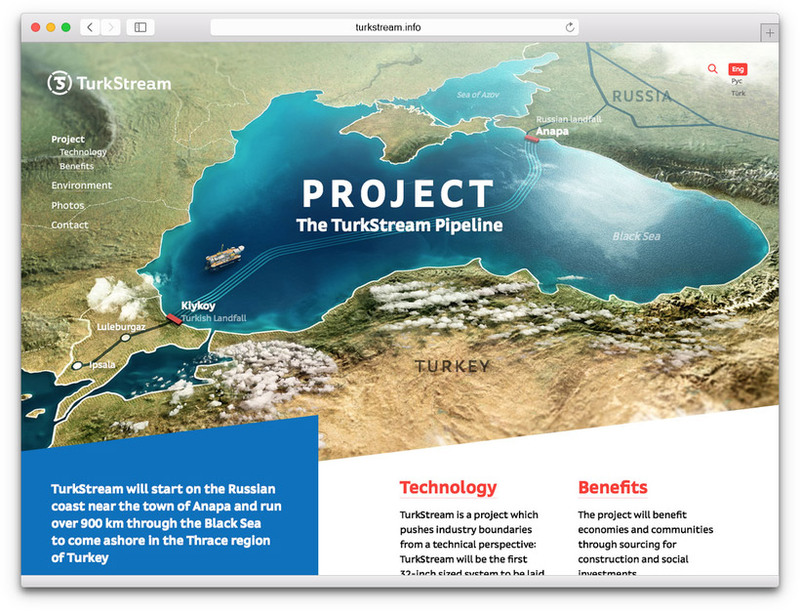 The website of the project provides information on operational results, technologies, environmental sustainability as well as interesting statistics. Large detailed illustrations make data more accessible. A task of such magnitude requires special equipment and non-standard methods. 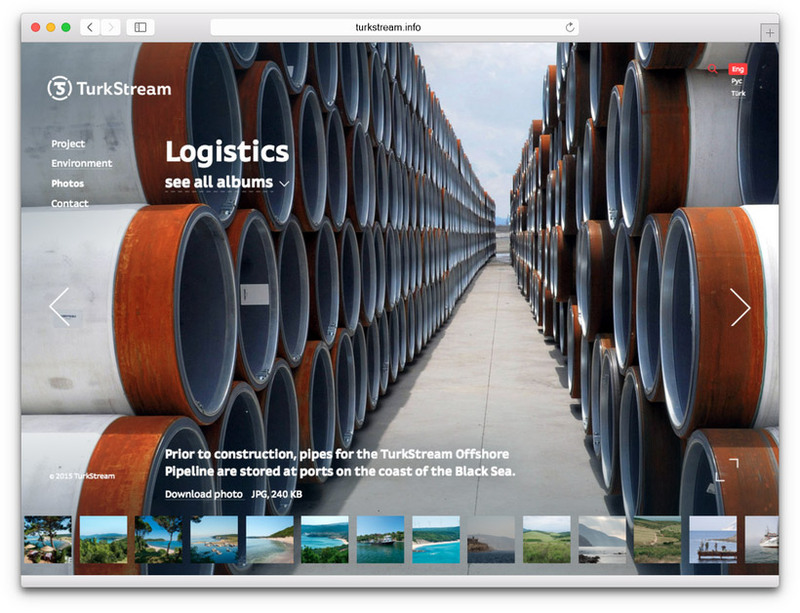 A special section of the website provides details on all technologies employed on the project. Impressive photographs illustrate the construction process. Printed materials and technical graphics elements were also created for the project.